A top police officer, who was working in Aberdeen when teenager Bailey Gwynne was killed, has revealed plans for a crackdown on weapons in Highland schools. 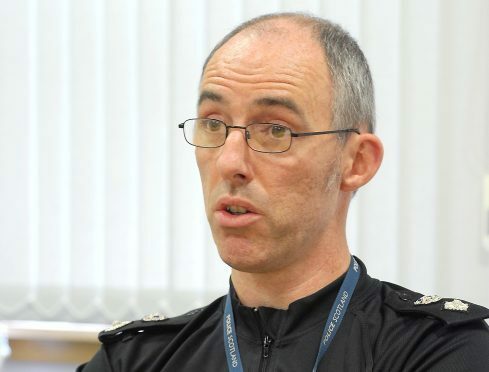 Chief Superintendent George MacDonald, who was appointed divisional commander for the Highlands and islands in June, said the anti-weapon strategy was one of the first issues he raised after arriving in Inverness. The Press and Journal recently reported there had been five incidents involving weapons in Highland schools last year, three of which were knives, the highest number in at least a decade. Asked whether he was using his experience from Aberdeen, where 16-year-old Bailey was stabbed to death by a fellow pupil during a fight at Cults Academy two years ago, Ch Supt MacDonald said he was working with local education chiefs on implementing a new policy. He added: “One of the first questions I asked when I arrived here was what is the collective policy round about weapons in schools. It’s not just about knives, but weapons in schools. We’ve been working very closely with education to develop that and implement that, and that’s at a very advanced stage. The police chief was speaking in the week that Dingwall Academy became the latest north secondary to write to parents warning that some pupils were taking drugs during school hours, following a similar move taken by schools in Inverness, Nairn and Tain last year. Ch Supt MacDonald backed the decision by schools, saying: “I think education have got a pretty good oversight of what is happening in schools and if education are communicating with parents, that is a good thing. “The more that we talk about and the more we publicise these things, the more parents and children get a better understanding of the risks associated with it. “We’re doing a lot of work with education in terms of supporting the drugs message in schools. “There are a whole host of issues and challenges for young people. Alcohol, drugs, cyber crime, cyber in general, sexual crime. What we’re working with education to do is develop a programme that covers all of these issues, not just warn them in isolation. Bill Alexander, Highland Council’s director of care and learning, said: “The council works very closely with partners, including police and NHS, to educate children about the dangers of substance misuse and the importance of making the right choices. “There are effective interventions to prevent and reduce substance misuse and we have very successful substance misuse services.